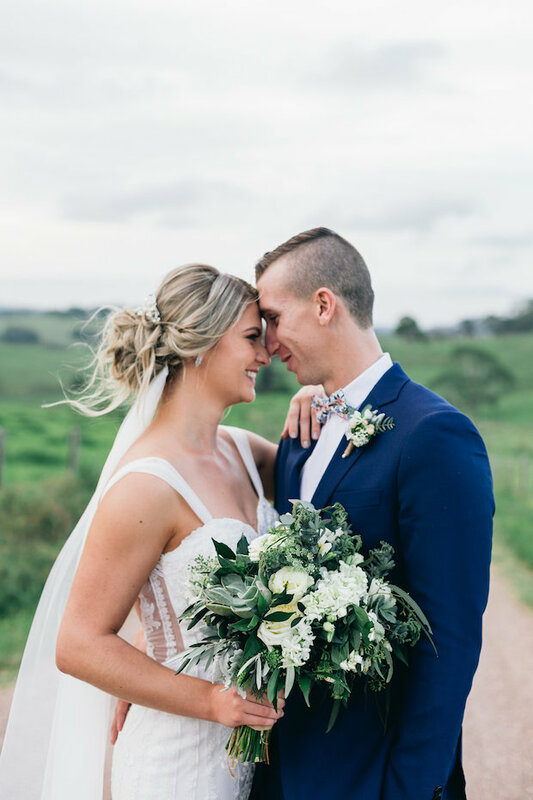 Home | Hair + Inspiration | Flying High | Wedding veils above or below the bun? Flying High | Wedding veils above or below the bun? At what other time in your life do you get to wear a gorgeous veil of soft, flowing ivory tulle – perhaps with lace trimming or with a blusher – than on your wedding day? We just love how the wedding veil can elevate your bridal look by framing your face, and elongating your silhouette. But we can certainly understand why brides often ask us, ‘do you wear the veil above or below the bun?’. 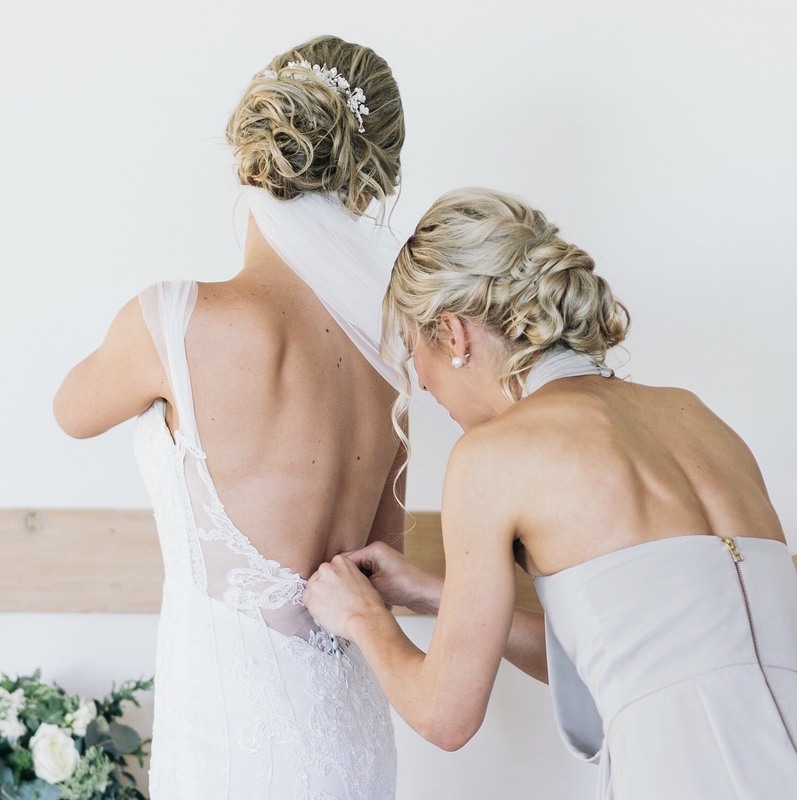 So here are our top tips on deciding how to style your wedding veil for your day. Low to mid updos, such as the messy bun and the relaxed chignon are ever so popular right now. We just love their deconstructed, yet refined nature. They flatter all brides, no matter your hair length or thickness. While you can style your veil from your crown, to create that long, elegant silhouette, it also works perfectly to position your veil above your updo. It’ll frame for your face beautifully as well as your hairstyle, whether you wear a blusher or not. If you’re wearing a wedding comb or headpiece, why not try the layered veil and headpiece look? 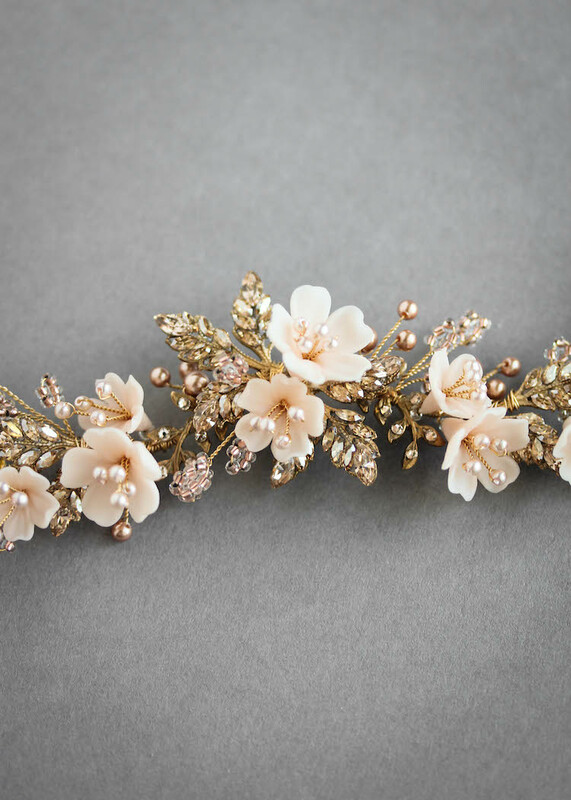 Slide your veil comb between your updo and headpiece to create one seamless, gorgeous piece. Bridal pins, styled either side of your veil, will also look beautiful. We love how mid to high updos, such as your ballet bun, add height and some wow factor. And for this reason, we choose to style veils below the updo. The veil will cascade, ever so beautifully from beneath your updo, without pulling focus, or adding too much volume on top of your head. But if you really love to style your veil above your updo, opt for a hairstyle that sits a little closer to your crown and a veil with minimal bustle. This will ensure a more flowing, natural line, that works with your updo, rather than fighting against it. Soft tousled tresses, beautiful waves, dreamy long hair… oh so ethereal! No wonder brides opt for their hair out or, half-up half down on their wedding day. 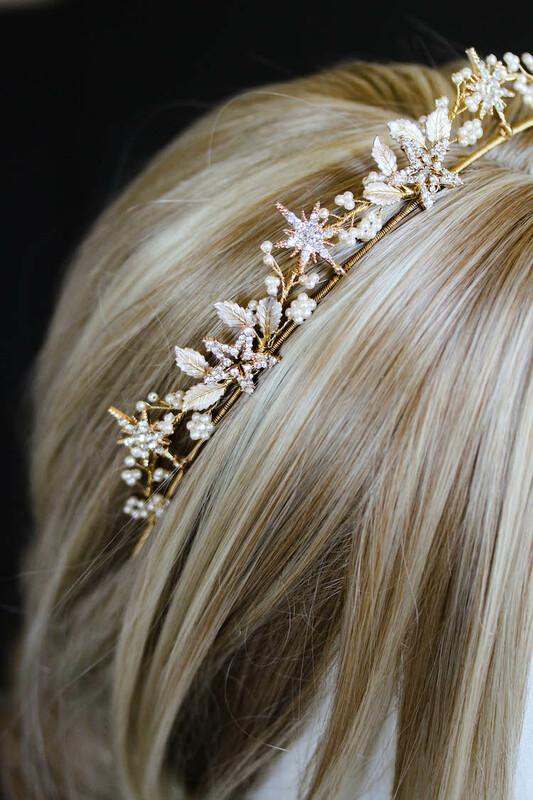 These styles are perfect for securing your wedding veil from the crown. It’ll ensure your hairstyle isn’t weighed down, while flowing every so elegantly down your back. If you’re wearing a crown or halo, consider wearing your veil underneath for a really pretty image. For half-up hairstyles, you could also secure your veil from your updo. It’ll provide a strong base, and once again, when teamed with a headpiece, will form a beautiful picture. But if you’re still a little uncertain, why not chat to our team on some veil options and how best to style them with your wedding dress and hairstyle?